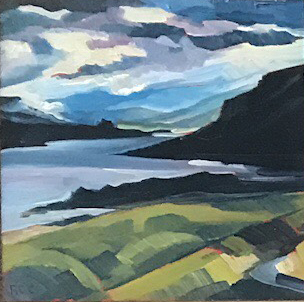 Gallery 55 is displaying 15 paintings by landscape painter Rachel Teannalach, which will be given away to donors to Advocates for the West. Advocates for the West is an environmental law group whose mission is to win for the West’s natural treasures and wildlife. The 15 paintings represent some of the organization’s most pressing legal battles – defending our national monuments, protecting the Salmon River, saving bighorn sheep populations, and more. The goal is to raise $15,000 for each cause. At the end of the campaign, the paintings will go to whoever makes the largest gift to their chosen cause. Masks from the Lion King at Gallery 55! Gallery 55 is pleased to offer for sale, as a fundraiser for McCall’s Children’s Theater, the masks that Robin Klassner, Kay La Bella, Etta Mayfield, Katrina Rude, Marnie Sell and Victoria Sell created for the 2017 fall production of Disney’s “The Lion King Jr.” The production was presented by the McCall Arts and Humanities Council’s Children’s Theater program by special arrangement with Music Theatre International with stage direction and choreography by Dawn Kolden and music direction by Linda Mayer. You can view these beautiful masks at the gallery through the month of June. 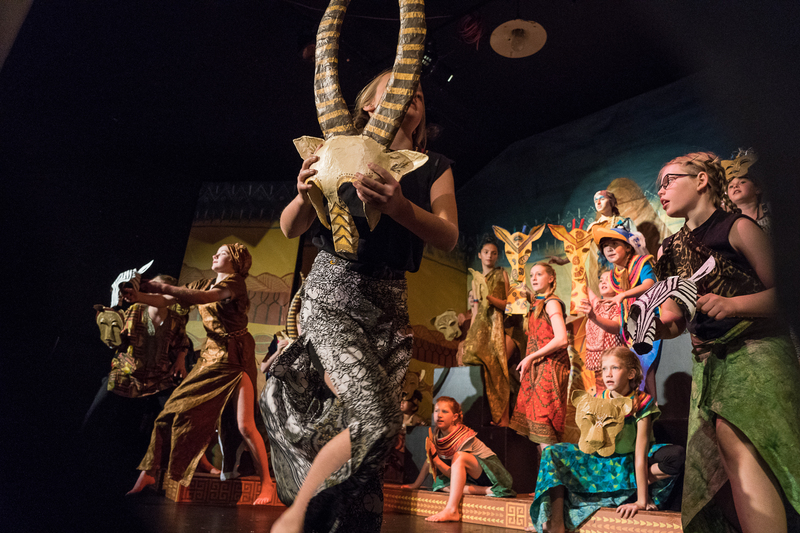 Your purchase of a mask supports more great opportunities for local youth to participate in high-quality theater education. Director Kolden tells us that wearing a mask created for an actor “is a privilege. As the actor prepares for the role, the artist prepares for the creation of the mask. Each mask has an energy and, when brought to life on stage, it is palpable.” Come by the gallery and feel the energy. Please join us for a reception on June 2, 4-8 pm, Gallery 55, 311 E. Lake St., McCall.